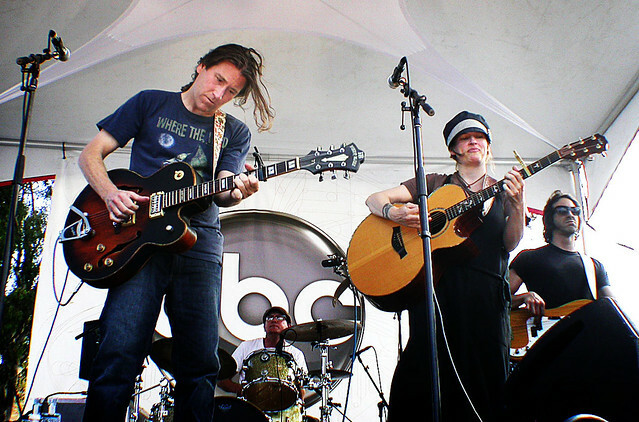 The Weepies perform at Lilith Fair 2010. It's Wednesday and it's feeling like a Weepies kind of day. In fact, I've been feeling down and tired lately with body aches (from biking and running) and all this sickness going around in my office, dealing with a bad cough and runny nose. And with winter well on it's way, gloomy days and cold weather dampen most days with gray skies and wind chills - sort of what most people turn into this time of year. And let's not talk about my personal life...ugh. Anyways, it's a Weepies kind of day and whether it be love or heartbreak, The Weepies have a way of tapping into our emotional center.